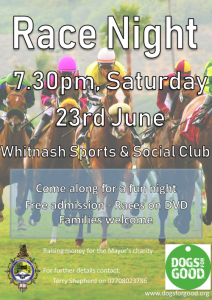 In support of mayor Cllr Shepherd’s chosen charity for the year, Dogs for Good, he is hosting a Race Night on Saturday 23rd June at Whitnash Sports and Social Club. Entrance is free, races are shown on DVD. Bet any from 50 pence upwards. For a chance to win bigger you can even sponsor a horse. 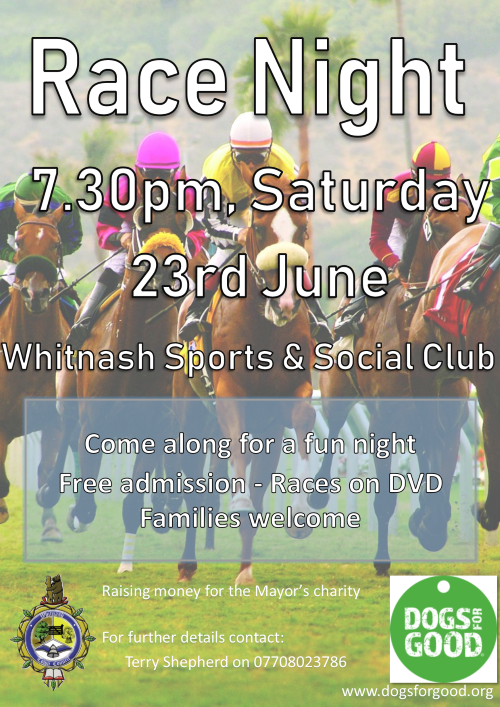 Come along for a fun-filled night, families are welcome too.